Patio season is fully upon us which means, I’m day dreaming of enjoying the perfect cocktail with the most perfect sunshine. What I’m not dreaming of is a sugary, high calorie drink that is going to send my blood sugar soaring into the tailspin that is the sugar crash. 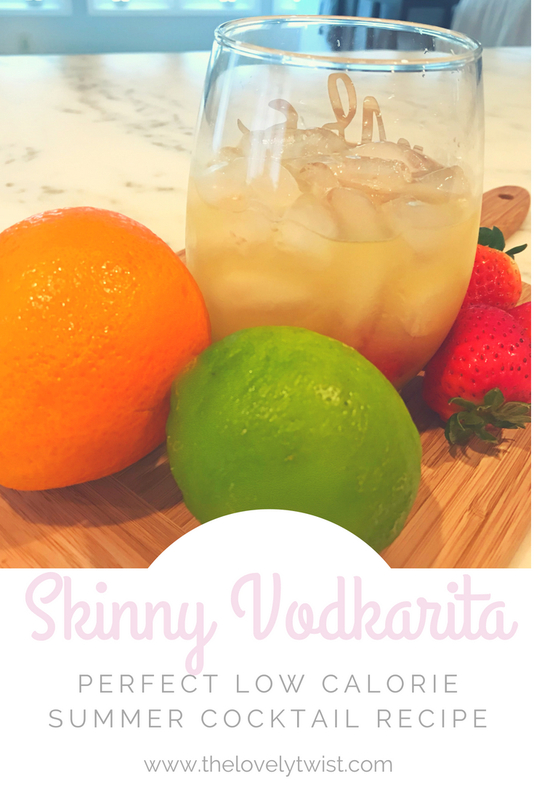 A girls gotta be able to enjoy a summer cocktail without all the calories and sugar, which is why this low calorie cocktail recipe is perfect! Now, this recipe is for what I like to call a “vodkarita,” which is exactly as it sounds – a margarita sans tequila, plus vodka. I can go for a traditional margarita every now and then, but I am much more of a vodka girl. Alright, ready for the perfect low calorie cocktail? Call your girls, get the chips and guac out and get ready for some refreshing goodness. This is one of my favorite low calorie cocktails to enjoy during the summer (heck, let’s be real more like year round!). This take on a vodkarita is seriously so light and refreshing, perfect for a patio sip. I hope you enjoy this low calorie cocktail as much as I have! What’s your favorite low cal drink option? I’m always on the hunt to try something new. Pin this refreshing low calorie cocktail recipe and share with friends!